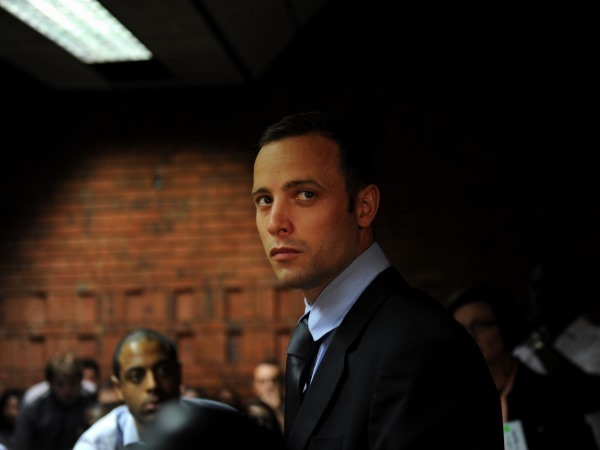 A former girlfriend of Oscar Pistorius, Samantha Taylor, was sworn in to give evidence at his murder trial in the High Court in Pretoria on Friday. The gently spoken woman, with blonde hair flowing down her shoulders, told the court she started dating Pistorius's in 2011 when she 17. They met at a rugby game in 2010 and he added her on Facebook and they started talking over social media. She said she spent about four days a week at his house and was familiar with the main bedroom of the house. He would sleep on the right hand side of the bed, she said. She knew he owned a gun because "he carried it around with him". She said at night he placed the firearm on his bedside table or next to his legs on the floor. Pistorius wears prosthetic legs after a double amputation as a child and went on to become a gold medal-winning athlete who also competed in the Olympic games.